1894 Indian Head cents are common coins from the numismatic perspective, though scarcer than many of the other 1890s-dated pennies. While they can certainly be found with relative ease at most any coin shop that deals in U.S. coinage, they are a little more difficult to locate in large numbers than higher-mintage pieces from the 1890s and 1900s. 1894 Indian Head cents were made in decent quantities, with 16,752,132 business strikes. One caveat to bear in mind when collecting 1894 pennies is that two types are counted by coin collectors: the “standard” 1894 penny and the 1894/94 overdate. The regular issue is worth about $5 in a grade of Good-4, while the overdate retails for about $25 in the same grade. Meanwhile, the proof specimen, of which 2,632 were struck, has a value of $1,350. 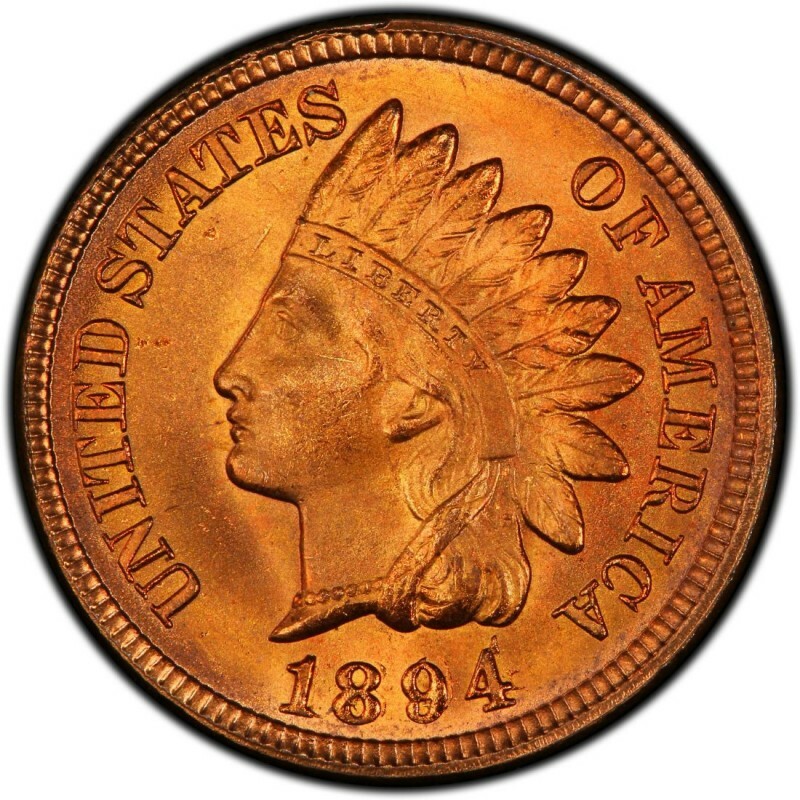 1894 Indian Head pennies were designed by James B. Longacre. He served as the Chief Engraver of the United States Mint from 1844 until his death in 1869. 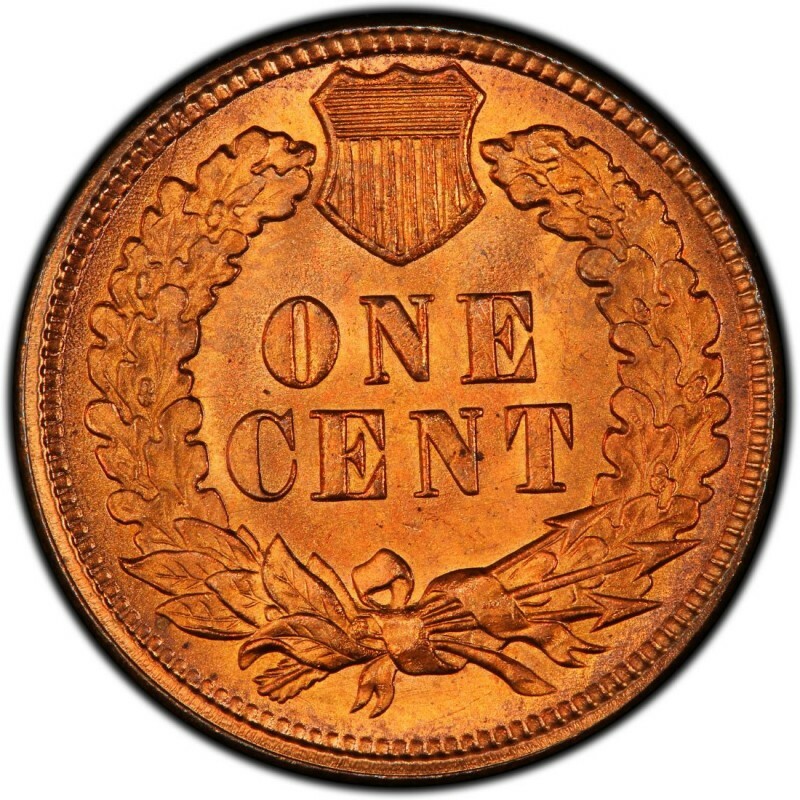 While he gained fame for designing the Indian Head penny, which debuted in 1859, he is also widely remembered as the designer of the two-cent piece; in 1864, that coin became the first to bear the motto IN GOD WE TRUST.